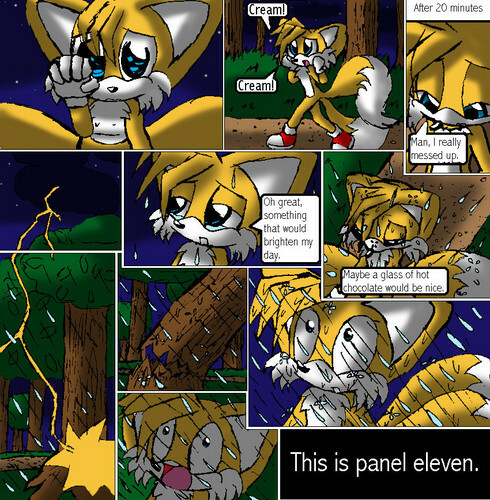 tails comic pg 4. . HD Wallpaper and background images in the SONIC COUPLES club tagged: tails comic. OMG! !Run Tails,Dont get hit by that Tree! oh my whats going to happen? !